When I decided to give up caffeine for hormonal reasons, I was extremely worried I would never again find a delicious morning beverage that I loved as much as coffee. What I soon realized was that giving up coffee allowed me to try and enjoy SO many different morning beverages from Dandy Blend to this Caffeine Free Chai Latte for Hormonal Health. I now love that I have a variety of options to pick from and am not limited by just one thing. 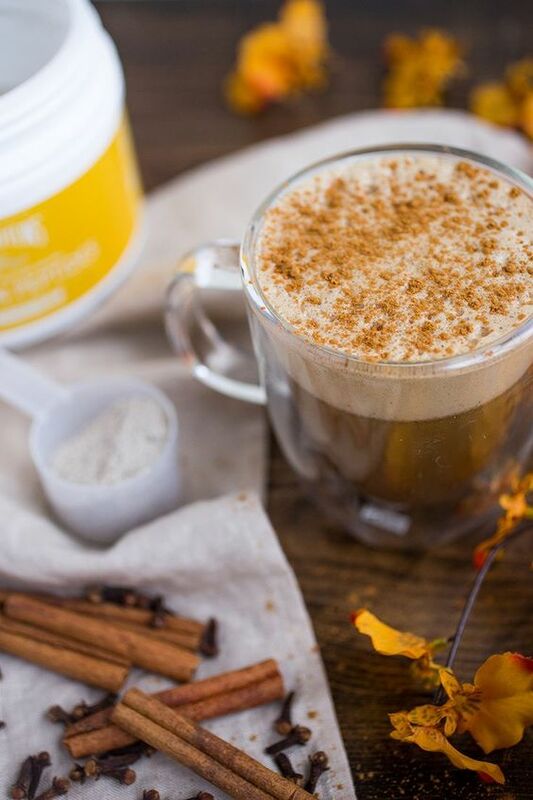 I created the recipe for this Chai Latte, which contains chaga mushroom and Vital Proteins’ new Vanilla Collagen, because it is delicious, nutrient-dense and highly functional. Chaga (I personally use Four Sigmatic’s Chaga Elixir for this drink) is something I learned about in the Healthy Hormones Group Program from Megan and Alex as being extremely beneficial for hormonal health. It nourishes the kidney and liver which helps our bodies natural detox pathways. Detox is an extremely important aspect of hormonal health. It is also loaded with minerals and antioxidants, specifically glutathione, which is the mother of all antioxidants and something many of us are lacking in, especially those of us with hormonal issues. 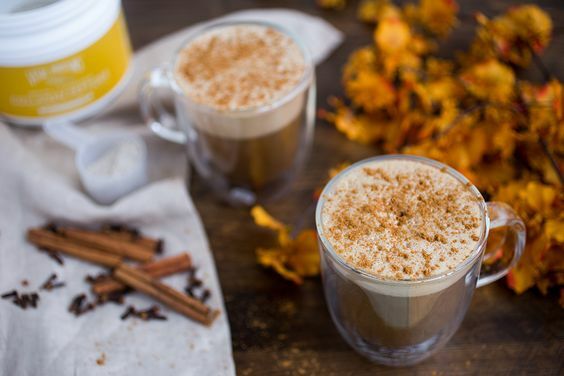 In addition to the chaga mushroom, this latte contains healthy fat in the form of refined coconut oil and protein from the Vital Proteins Collagen. Not only that, but collagen is extremely beneficial for the health of our skin, hair and nails plus it supports gut health. In other words, why would you ever want coffee again when you could have something THIS delicious and functional?! This recipe makes two 8oz cups (or one large 16oz cup), but please adjust the ingredients up or down if you’d like more or less! While water is heating up, add all remaining ingredients to a high powered blender. Once the water has come to a boil, add it to the blender. Combine all ingredients on medium-high until fully combined and frothy. Pour into one or two mugs and enjoy hot!